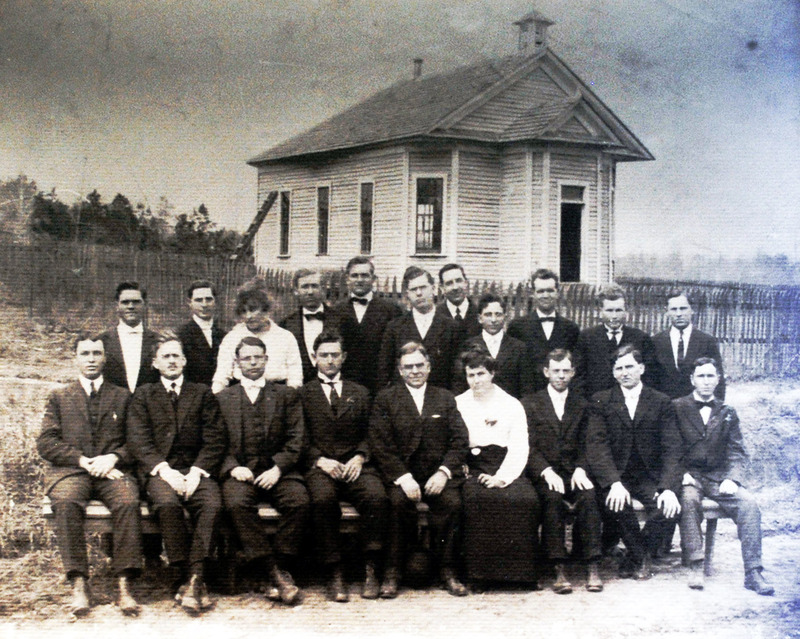 Front row left to right: Elders Jones, Neely, Hughes, Nalder, President Callis, Sister Callis, Elders Olsen, Hawes, and Chapman. Back row: Elders Griffith, Bolton, Sister Erickson, Elders Walker, Miller, ____, LeBaron, Campbell, Tullos, Whiting and Erickson. (Identification by Sisters Geneva Summerlin, Mary Thornley and Maude Ray) Donated to the Church by Marian Ray Wightman. Photo taken 1915 and currently framed on the wall in building. The land was deeded to President Joseph F. Smith on 28 Oct 1905 and recorded 16 Jul 1906. 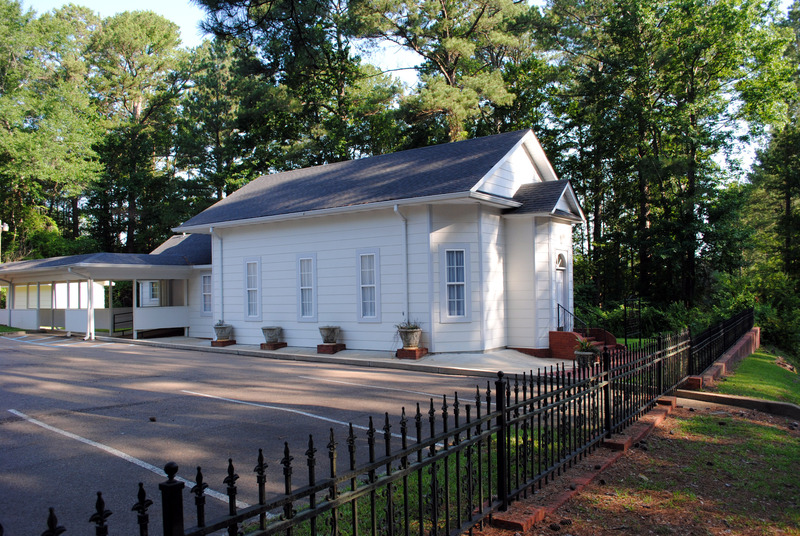 In 1905, foundation work began for this little church. Four churches were built in Mississippi the same year, one in North Mississippi, one at Red Star, one at Columbia and this one at Raytown. All the others were deliberately burned down within two or three years. Ben E. Rich, President of the Southern States Mission, dedicated this building in 1906.